In March 2014, the National Highway Transportation Safety Administration (“NHTSA”) examined the issue of repeat drunk drivers in a report titled (in part) DWI Recidivism in the United States. The report was an effort to update a study from 1995 that found 31% of those arrested or convicted of DWI were repeat offenders. Overall, the 2014 report did find some im provement with the percentage of repeat offenders falling to 25%. 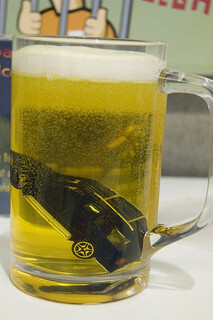 The 2014 study also looked at the recidivism rates for three different categories, and found (using the median of the averages reported by the states) that 25% of those arrested for DWI had prior DWI arrests, 30% of those convicted of DWI had prior DWI arrests, and 32% of those who had their licenses revoked or suspended had been previously arrested for DWI. The NHTSA study issues an important caveat noting that it is impossible to get truly accurate data on drunk driving recidivism since many offenders drive drunk numerous times before being detected by law enforcement. In that vein, Mothers Against Drunk Driving opens its Statistics page by reporting that there are more than 300,000 instances of drunk driving per day but only around 3,200 people are arrested for drunk driving on a given day. One wonders if repeat drunk drivers are more aware of police routines and more likely to avoid detection (e.g., by avoiding heavily patrolled roads). Even though the rates of repeat drunk drivers have improved somewhat, it remains a major problem and one we must tackle. The reduction in recidivism may be a sign that some interventions, such as the use of ignition interlock devices, are helping to stop repeat offenders. We must continue to work to stop ALL drunk drivers and must pay special attention to those who repeatedly put us all in danger by driving drunk time and time again. If you were injured or lost a family member because of a drunk driver in Northern California, we can help you get justice and obtain compensation from the person at fault. Call the offices of our drunk driving injury law firm in Santa Rosa, San Francisco, or Oakland, all of which can be reached at (800) 427-7020. Together, we can hold drunk drivers accountable for the consequences of their actions.